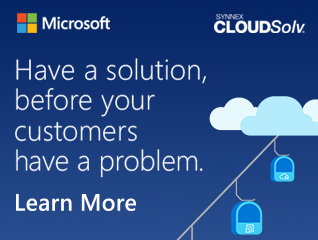 Join the SYNNEX Microsoft OEM Team for the October Webinar! Join the Microsoft OEM Team for a webinar to learn more about SYNNEX and the Windows 10 Make the Shift Campaign! NEW CLOUDSolv Demo: Click here to watch.